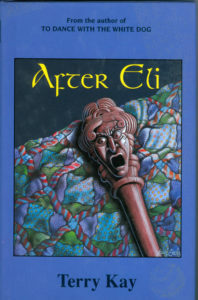 After Eli – Peachtree Publishing Company Inc.
Three women encounter the most formidable of dangers—an enchanting man. Though strangers are rare in the town of Yale, and a recent double murder is still unsolved, the charming and itinerant actor Michael O’Rear still manages to win over the people of the remote Appalachian village. Intrigued by a legend of hidden money, Michael uses his acting talents and his gift of lyrical gab to win the empathy, and then the hearts, of the three Pettit women: Rachel, alone since her husband Eli left seven years before; her daughter, Sarah; and even her distrusting older sister, Flora. Each woman feels connected to Michael, whose charm and wit draws them inexorably into his play of madness—a drama of psychological horror that threatens the weak and unsuspecting. Terry Kay’s suspenseful novel full of twists and turns will keep readers guessing until the very end. Terry Kay is the author of numerous bestselling and award-winning novels, several of which have been made into television movies. He lives in Georgia. You can visit his website here.